Every so often a great idea pops into your head completely out of nowhere. 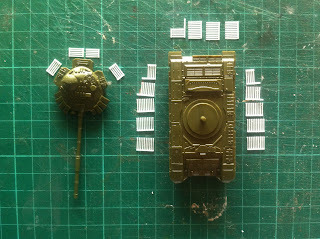 In this case, the idea was to use N scale fencing as cage armour on a 15mm tank. I'm no expert but I think Zvezda's kit looks a like a T-72BM, and there are a number of pictures of them in Chechnya sporting cage armour. I was quite pleased with this. The Ratio fencing wasn't that cheap, but it goes a long way – I used just over one piece of fencing to make this. It was a bit fiddly at first but it wasn't difficult and, once I got the hang of it, it didn't take that long. 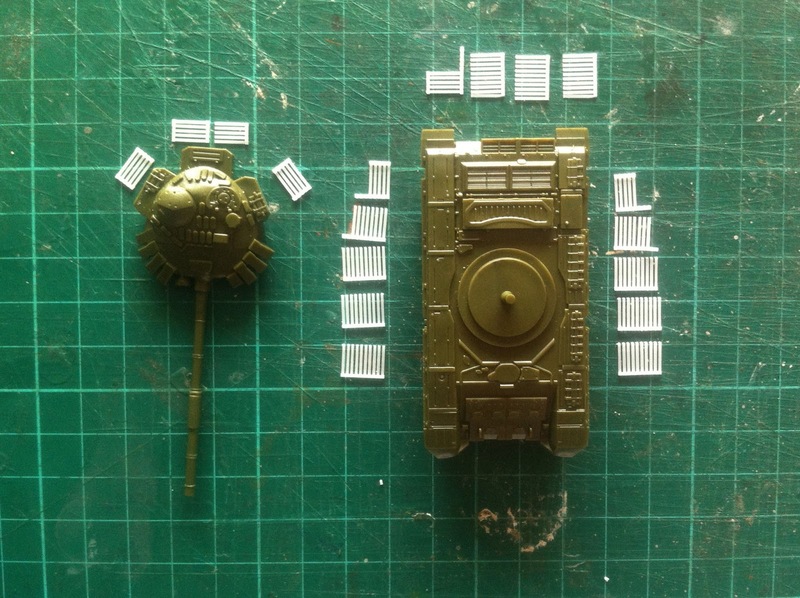 Since nobody sells a tank like this, I think the results were worth the trouble. I'm going to make one or two more of them.